Yes, they're the same Feathers who recently popped up on 'Cripple Crow' and yes, this is Devandra's very own imprint. 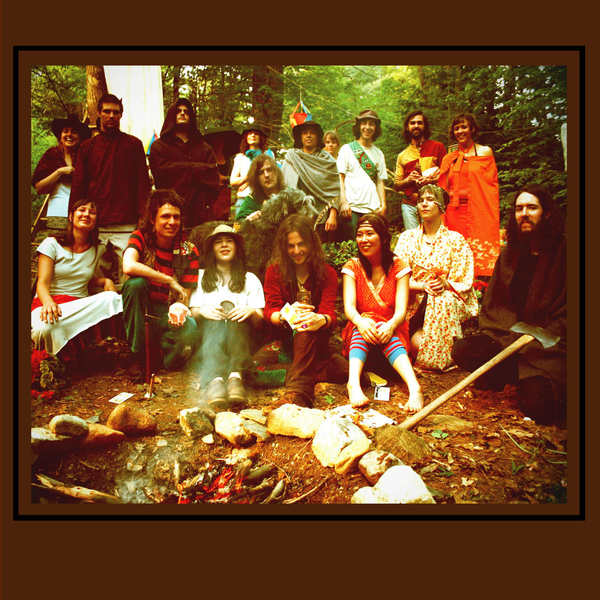 Harking from the Verdant Hills of Vermont and looking like a Children's Illustrated Encyclopaedia entry for 'hippy commune', Feathers sound exactly how you'd imagine; sentimental folk with a dusting of Bryds-style harmonies. Opening with 'Old Black Hal With A Dandelion Flower', lines like "For soaked in lemonleaf, crown of rotten blueberry" manage to sound not half as annoying as you'd think, furnished with a shallow gradient of folk trappings; undulating guitar, mountain dulcimer, lap harp, sitar, banjo and a supersize portion of vocal harmonies. Elsewhere 'To Each His Own' has shades of Elliot Smith fronting the Fairport Convention, 'Ibex Horn' is a besmirched and psych-tinged affair (sounding a bit too much like those bits in The Simpsons where someone 'trips out'), whilst 'Past The Moon' allows me to crack open my weary Wickerman reference. Closing with the sun-dappled and multi-vocalised tones of 'Come Around', the Feathers have produced an opening salvo that is so steeped in a long-lost version of the American dream, it'd be inexorable to do anything other than sit down and join them on the pipe.